GT Sport Patch v1.34 is available to download, and includes a raft of new content. The free update includes new vehicles, a new circuit, and changes to GT League. Check out the full details below. GT Sport has received another free content update in patch v1.32. The first update for 2019 brings with it eight new cars, as well as the return of an old fan favourite track: Special State Route X.
Gran Turismo Sport has received a new patch, updating the game to v1.31. The free update adds a new Tokyo-based track variant and seven new cars to the game, which includes the McLaren P1 GTR ’16. Gran Turismo Sport has received a massive update, adding twelve new cars, a new track with four layouts, and other content to the game. The update (v1.13) is available to download now, and also includes new events for GT League and plenty of other changes and fixes to improve the game. The full list of changes can be found below. 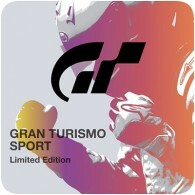 The very last deal of Christmas is GT Sport. You have until 2pm on 24th December to grab the final deal before it’s gone. The Standard Edition of the game has been dropped to £24.99, saving you 50% off the regular price. The Digital Deluxe Edition of the game has been discounted too. Sony has released a new PlayStation VR bundle which includes a copy of newly released Gran Turismo Sport and VR Worlds. 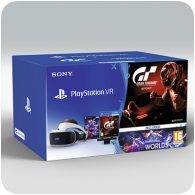 There are two variants of the bundle available, but both come with the VR headset, a physical copy of GT Sport, VR Worlds and PlayStation Camera. The more expensive version also includes a pair of PlayStation Move controllers. Polyphony Digital have released new trailers for their upcoming Gran Turismo Sport game, including one for the PlayStation VR featuring the winner of GT Academy. The second and third trailers look into advanced matchmaking techniques used by the game, and a little introduction into the game, respectively. Polyphony Digital has announced that upcoming racing simulator, Gran Turismo Sport, has been delayed until further notice. The game was originally slated for release in November 2016, but statement from studio founder Kazunori Yamauch indicates that more time is required to perfect the game before release. As a result, the studio cannot confirm a new release date, which means the game won’t be out anytime this year. 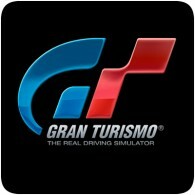 The next iteration in the Gran Turismo series has been announced at Paris Games Week. At the Sony press conference last night, Kazunori Yamauchi and the SCEE CEO & President Jim Ryan unveiled Gran Turismo Sport, exclusively for the PS4. An open-beta for the game is planned for Spring 2016.